Do you order items from catalogs? For many, catalog shopping is a thing of the past. Instead, customers today are shopping online, and as a result, many companies have stopped printing catalogs. However, a hundred years ago mail order catalogs were essential in many American lives. In the late 1800s, Montgomery Ward & Co. and Sears, Roebuck and Co., headquartered in Chicago, distributed their catalogs across the nation and provided a way for long distance customers to purchase their products. 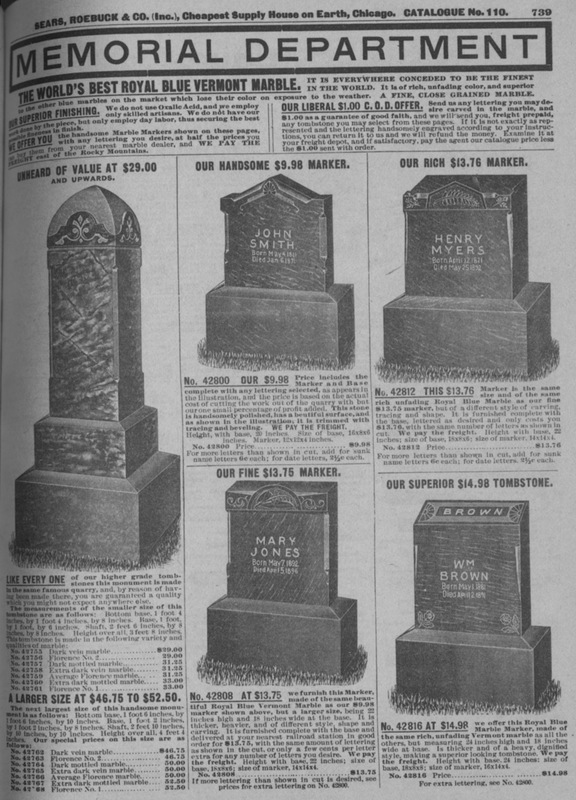 For companies like Montgomery Ward & Co. and Sears, Roebuck and Co. mail order catalogs increased sales greatly. By 1895, Sears, Roebuck and Co. printed a 532-page catalog which brought sales to $750,000, nearly doubling from $400,000 just two years earlier. Since specialized stores did not exist outside major cities, these catalogs offered rural residents, especially settlers in the West, a wide assortment of products so they could enjoy the same material items that city dwellers purchased. Here are a few of the items available for purchase in 1894 and 1900. Need some handcuff for the local police department? Sears’ catalog was the place to look. 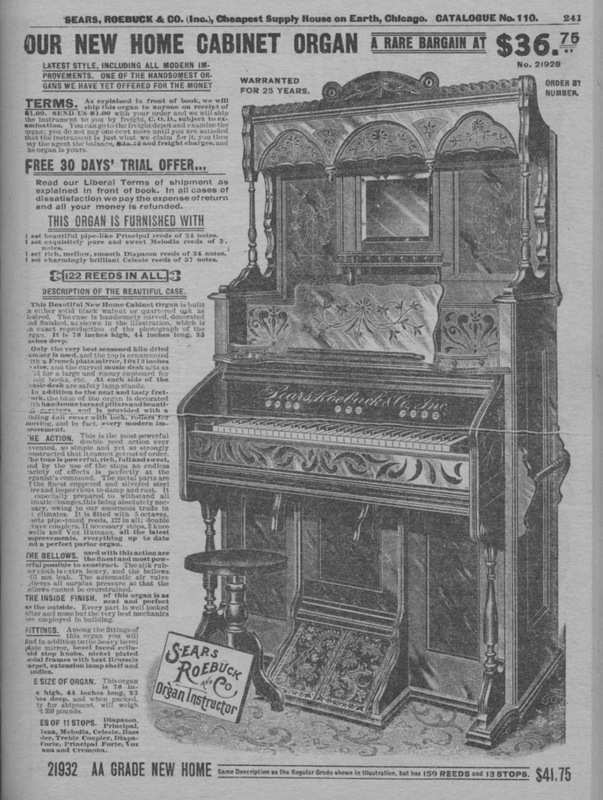 How about a new reed organ for the parlor? This one comes with a free 30 trial offer. Men, notice some balding that needs covering? Ladies, need some bangs or a pompadour? This page, complete with a wig buying guide, was the answer to any hair woes. How about some exercise equipment? 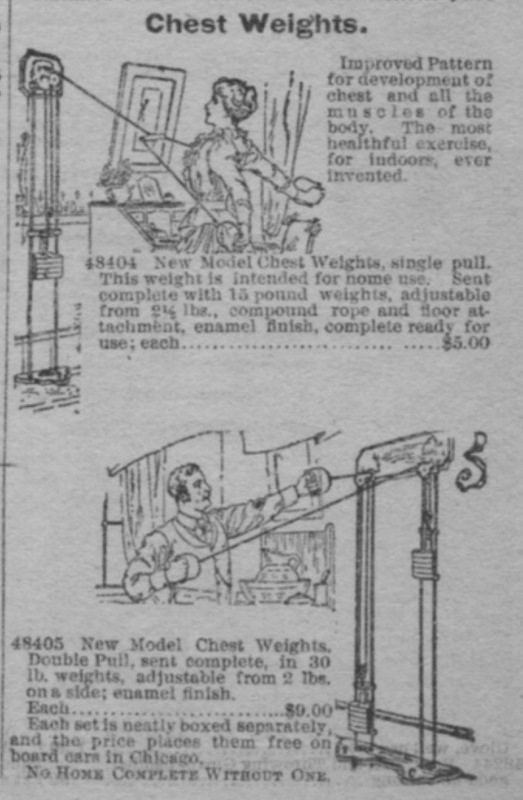 Montgomery Ward & Co. offered Chest Weights on a pulley system similar to equipment you see in gyms today. Have you ever noticed the same grave stones at cemeteries across the nation? That’s because many Americans ordered their stones from a catalog. Here are the options Sears, Roebuck & Co. offered. You may be wondering about shipping costs on some of these considerably heavy items. Both Montgomery Ward and Sears catalogs encouraged club orders. Customers could get together with neighbors, friends, and family to combine their orders and save on shipping. Take a look though these catalogs at the Local History Archive to determine what you might have purchased from a catalog over a hundred years ago. Run for your lives, it’s an Army of Frogs! For more animal group names, be sure to read The San Diego Zoo’s great list. 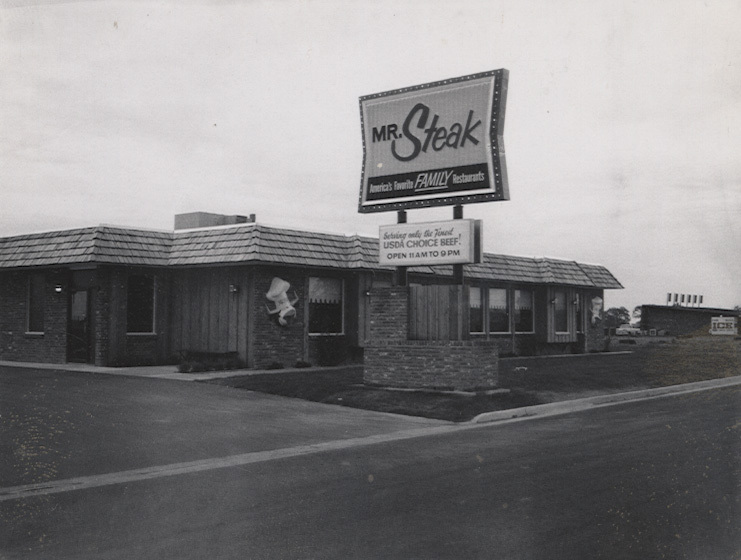 I really wish I could have gone to Mr. Steak. Doesn’t it look cozy? 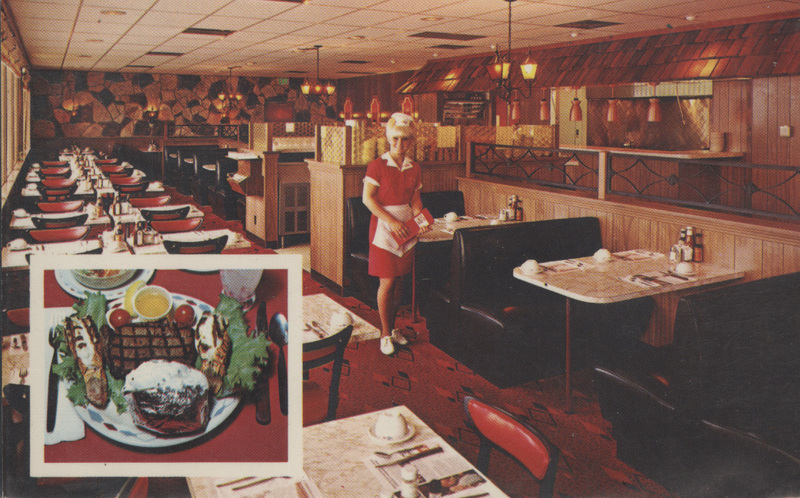 By the way, the Local History Archive has hundreds of historic Fort Collins postcards. Stop by sometime and take a look! During our recent grasshopper emergence, I’ve heard several people refer to our abundance of insects as a “plague.” Well, they’re sort of right. The correct term for a group of generic grasshoppers is a “cloud,” not a “plague,” but the term for a group of locusts, the swarming phase of grasshoppers in the family Acrididae, is a “plague.” Locusts are differentiated from other grasshoppers by their destructive, migratory behavior. With huge and rapid population increases, locusts consume all the vegetation within a region and then, en masse, migrate to the next abundant supply of food. The most famous locust to plague this part of North America? Melanoplus spretus, the Rocky Mountain locust. As European settlers from the east began moving further west during the mid 1800s, locusts from the west were moving east and the two groups met in the middle. Normally, M. spretus maintained its range in the Rocky Mountains, but when the species’ population became too large, that range expanded out onto the prairie. Accounts of grasshoppers in numbers so great they blocked out the sun began to come out of the Great Plains. From July 20 to July 30 of 1874, a plague of locusts was recorded over the prairie that covered 198,000 square miles (approximately twice the size of Colorado!) 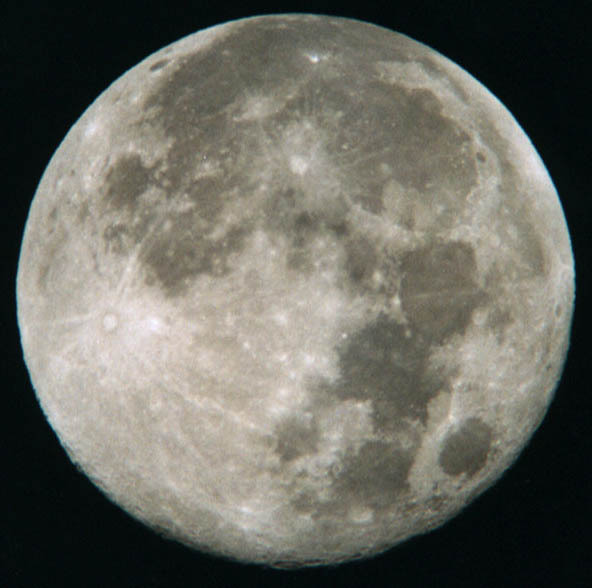 and contained at least 12.5 trillion individuals weighing approximately 27.5 million tons. * The locusts ate everything: crops, grass, trees, clothing, leather, dead animals, and even each other. The number of insect bodies on the ground became so great that they literally stopped railroad traffic: the tracks around Colorado Springs became so slick with locusts that the train wheels couldn’t roll over them. The largest recorded swarms of the Rocky Mountain locust peaked from 1873-1877, the same time people were actively settling the west. 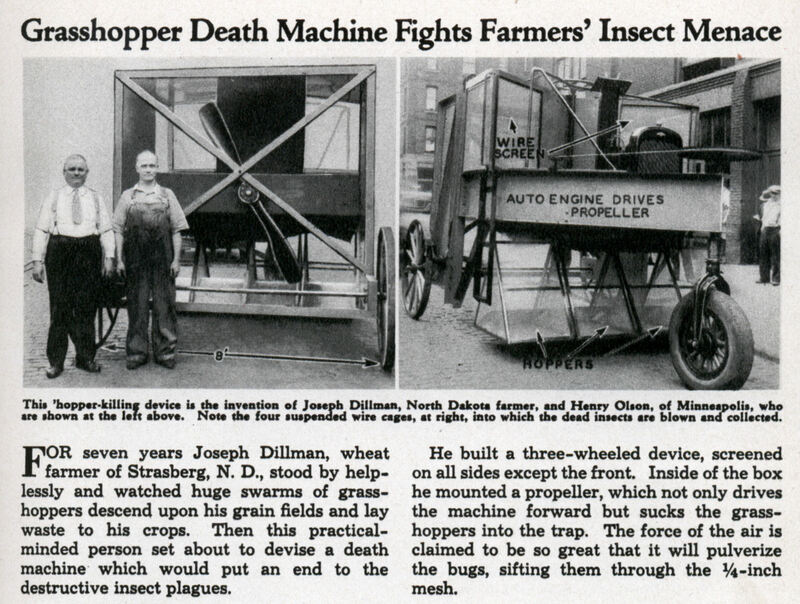 People tried everything to get rid of the insects: burning fields, blasting land with gunpowder, bringing in locust predators and parasites, and building mechanical contraptions to collect and destroy the insects. However, as quickly as the insect and reports of its destruction had spread across the prairie, the Rocky Mountain locust disappeared just as quickly. The last confirmed sighting of a living specimen was in 1902. 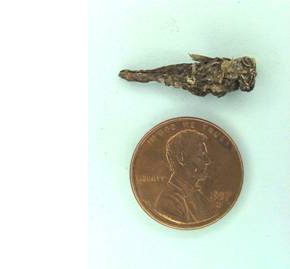 There’s debate over what factors contributed to the extinction of the Rocky Mountain locust. The most accepted theory is that the very settlers the locusts wrecked havoc on ended up, inadvertently, destroying the species by destroying the insects’ breeding ground to plant crops. Because locusts are a behavioral form of grasshoppers that emerge when populations reach high enough densities, there is a theory that other grasshopper population can become “locust-ized” and behave like M. spretus if conditions are right. However, DNA testing from museum specimens of the Rocky Mountain locust suggests that M. spretus was a distinct, and now extinct, species and the days of the locust on the scale of 12.5 trillion individuals are gone. If you do still want to find Rocky Mountain locusts, the best place to look (other than in a museum) is in a glacier. Throughout the west there are glaciers that have preserved the frozen bodies of locusts that once flew over them. For an excellent exploration of the natural and cultural history of the locust, I recommend reading Jeffrey A. Lockwood’s Locust: The Devastating Rise and Mysterious Disappearance of the Insect that Shaped the American Frontier. For the past month, Fort Collins has been full of grasshoppers. They’re everywhere: on walls, windows, sidewalks, signs, and, last Thursday, rather boldly crawling up my leg. 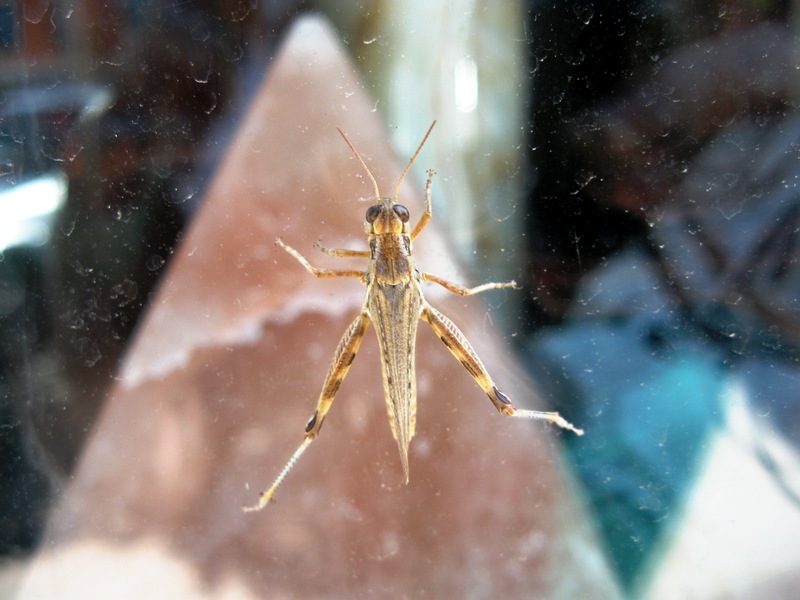 Last year, the USDA conducted a grasshopper survey of the western states and found that population numbers were quite high. Because a large population = a large number of eggs laid for the following year, the USDA predicted that 2010 could see the largest grasshopper population in decades. Well, it looks like the prediction was right. Not only did last year’s grasshoppers lay a lot of eggs, but during the three-week hatching period for those eggs earlier this summer, conditions were perfect to help most of those hatchlings survive this summer. The end result? Colorado is full of grasshoppers. There are over 100 different species of grasshoppers in Colorado, and the insects eat everything from grasses and sedges to the flowers, vegetables and other plants you grow in your garden. 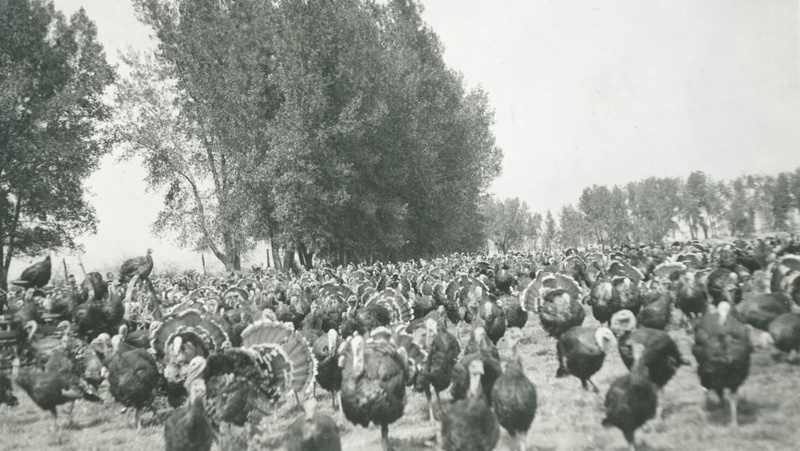 In the 1930s and 1940s the grasshopper populations were so bad that Fort Collins residents brought in turkeys to help control the grasshopper populations eating their crops! As much as people may complain about the grasshoppers (or jump up and down, shaking one leg as I did), they are beneficial organisms. Because grasshoppers are voracious eaters, they’re also abundant poopers and that nutrient-rich waste is good for the soil. So are the grasshoppers’ bodies, which decompose when generations die. Finally, many grasshoppers are able to eat poisonous plants that might otherwise be ingested by other organisms, and are themselves an abundant source of food for birds and other predators. The last big outbreak of grasshoppers in northern Colorado happened in the late 1970s and early 1980s, and there is a chance that the high population levels this year could lead to another season full of grasshoppers next summer. However, its rare to have several years of high grasshopper populations in a row, so we’ll just have to wait and see. Either way, the first good frost will be the end of this year’s grasshoppers and we can once again walk the streets without fear of leg hitchhikers.